It's that time again, as I delve into Week 3 of DC's set of relaunched titles that have been dubbed as "The DC You". This week marks a few changes worth noting up front, I had limited time in my pre-HeroesCon planning, so I'm only covering the new #1's. My apologies to fans of the current Wonder Woman team, Secret Six, etc...but I'm throwing this together as quickly as I can before I hit the road. If anyone has thoughts to add about the books I didn't get to this week or any of the below, hit me with them in the comments section, I'd love to hear what you think! 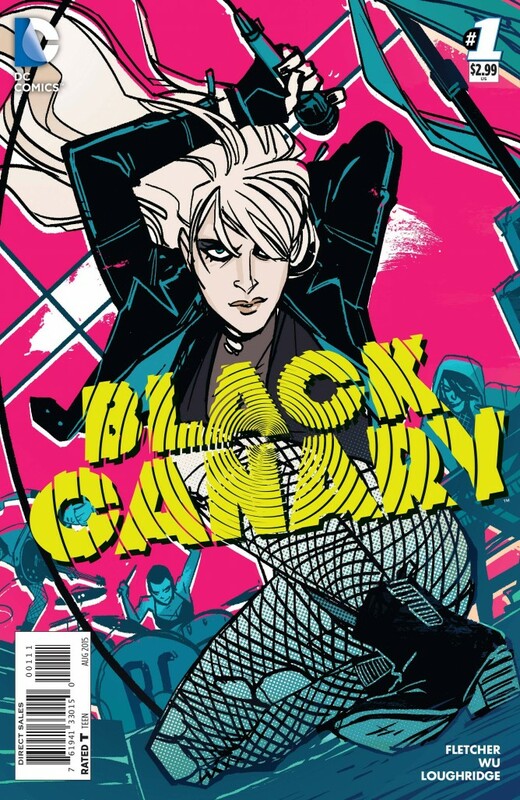 Black Canary #1: This was probably the book that I was most anticipating, outside of Gene Luen Yang's Superman. I love Brenden Fletcher's work on everything he's touched so far, and Annie Wu is artistic dynamite. I left this first issue mostly satisfied, Wu's trademark dynamics are definitely in place and you can sense what Fletcher aiming for in a sort of Bryan Lee O'Malley-esque way. Much like the first relaunched issue of Batgirl that Fletcher, Cameron Stewart and Babs Tarr took over, there's some clumsiness in establishing the new status quo and nailing the right voice for its central character. But also like Batgirl, I expect this to become a really fun ride from the second issue on. It's good, I just expect it to get a lot better now that the preamble is out of the way. 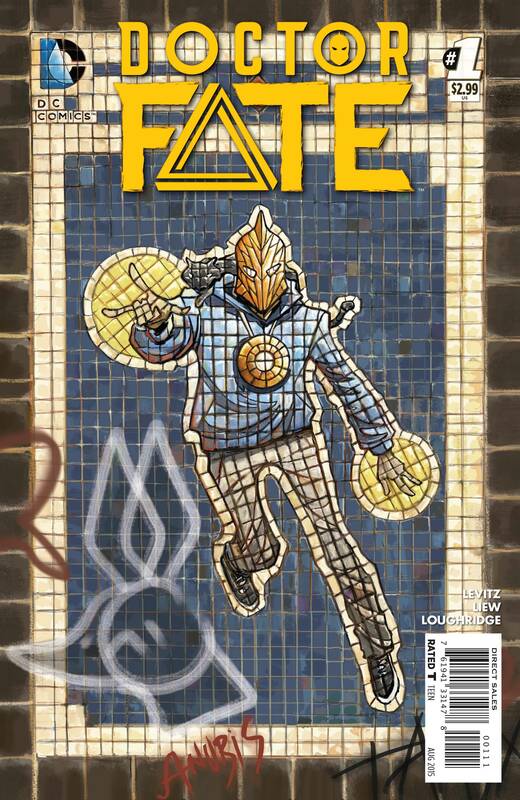 Doctor Fate #1: If you had told me that DC stalwart Paul Levitz would be the ideal candidate to write the story of a young Egyptian med student's traversing of the Campbell mono-myth, well...I wouldn't have believed you, especially given how my poor Legion of Superheroes ended up into the trash-bin in the New 52. But hey, guess what? Doctor Fate might be the best his writing has been in years. Sure, there's a little strain as you can see Levitz attempting to hit some of that more youthful cadence, but his scripting goes down far better than Scott Lobdell's last week. But it's Sonny Liew's art that makes this introductory chapter pop off the page. The same gorgeously rendered figures that populated The Shadow Hero are on display here, and the elements of Egyptian myth are wonderfully rendered in Liew's hands. If Levitz lets his artist run wild, we're in for a real treat. 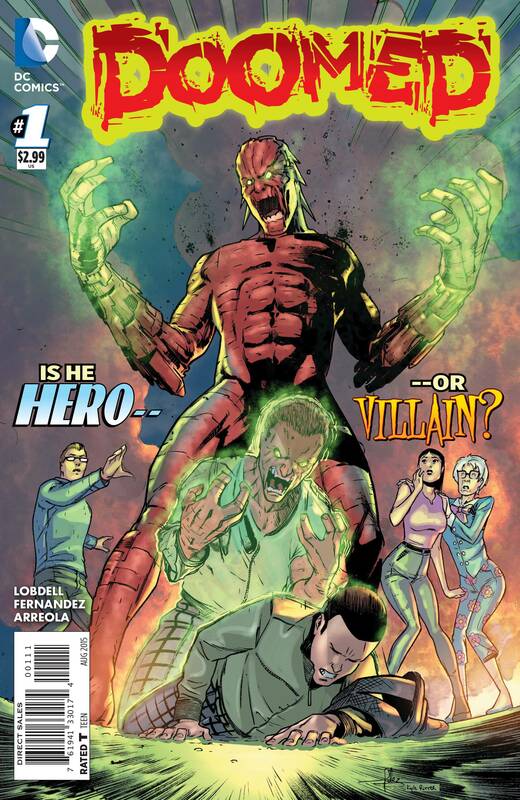 Doomed #1: Speaking of Mr. Lobdell, I had a morbid curiosity about Doomed. Just before the announcement of DC's new line of titles, there were reports that the publisher's leadership was angling for "blue sky pitches" from its various creators. This left me wondering what a writer whose work I generally dislike would produce if he was making his ideal DC Universe book. This first issue of Doomed is basically angling for a Spider-Man riff. It's better than Red Hood/Arsenal in that this issue is not achingly horrible, but it's still not particularly good. The attempts at humor are groan-worthy at best (and really wrong-headed at their lowest points), and no character talks like an actual human. But, I will give Lobdell and DC their due for introducing another person of color as a lead. In a month that saw veteran workhorses like Levitz and Dan Jurgens try to stretch their storytelling legs a tad, this is probably the closest we'll get with Lobdell. Harley Quinn and Power Girl #1: While I felt just tad out of the loop having not read the Harley Quinn arc where these two popular characters initially teamed up, the narrative boxes at the beginning of the issue did a nice job catching me up (and frankly, put to mind how silly it is that DC doesn't do recap pages). This was a good deal of fun, with a bit of a 70's cosmic comics meets Space Quest. It's basically Harley and Kara jumping from fantastic situation to fantastic situation in deep space. It's light, pretty funny, and Stephane Roux puts in some gorgeous facial work, though Paul Mounts' colors are what really pulled it all together for me. If you're a Harley Quinn reader or dug the previous Power Girl series, you pretty much know what's on tap here from Jimmy Palmiotti, Amanda Conner and Justin Gray. I'd say that's a good thing. 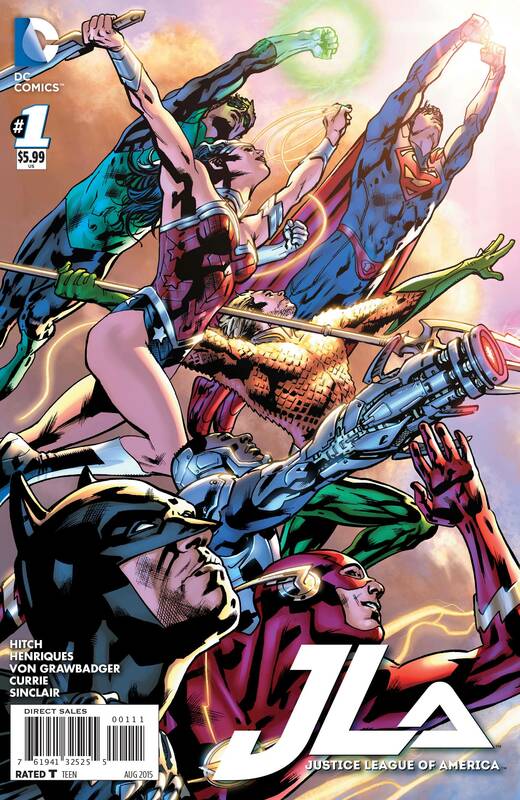 Justice League of America #1: So, Bryan Hitch is a really good comic book writer. I had no idea. After this first issue, I'm very much on-board with his iteration of the Justice League. This is a straight-forward, yet supremely action packed Justice League tale, and it figures that the best showcase for Hitch's talents would be something he scripted himself. He's not the most subtle writer, but this first issue works as a terrific introduction to the seven founding members of the New 52 JLA and firmly establishes their personalities in a way that the Geoff Johns/Jim Lee relaunch fumbled with. You can sense that there's also a grander plan at work here, with character based sub-plots being seeded that have the potential to lead in some very interesting directions. Maybe what I appreciated best, beyond the near-panoramic art work, was Hitch's understanding of stakes. This is a JLA that struggles against even the Parasite, so what in the world are they going to do against an even bigger threat? There's finally a sense of danger in a Justice League comic, which is something I haven't felt in a long time. My hats off to you Mr. Hitch, this is easily the big surprise of the new relaunch. 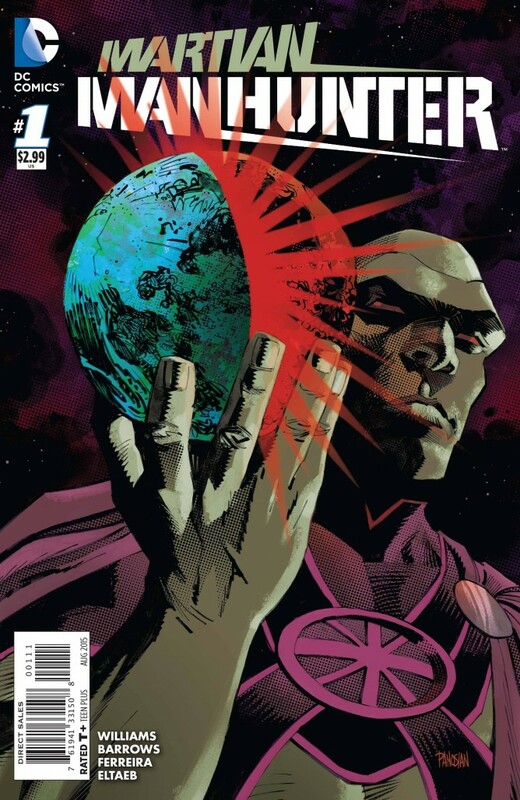 Martian Manhunter #1: Solo J'onn J'onzz books have had a pretty tough go at it, with John Ostrander having the only somewhat extended run with the character on his own. Post New 52 hasn't been any kinder to our favorite Martian. Enter Rob Williams, the 2000 AD stalwart, along with Eddy Barrows. How do they fare? I'd say solidly. They're taking J'onn in a very horror influenced direction that somewhat reminds me of Swamp Thing, and it's actually the only new DC title thus far that's really tackled that genre. On the other hand, I need another White Martian story like I need a hole in my head, and it seems like this tale is headed to that well again. But, plotting exhaustion aside, I really enjoyed Williams' voice for J'onn and the idea of "the life he's built up around himself as fiction" is a pretty compelling one. I won't commit fully yet, but I can probably swing another month of this. Prez #1: After finishing this comic, I immediately put it down and described it in painstaking detail to my significant other in excited tones. 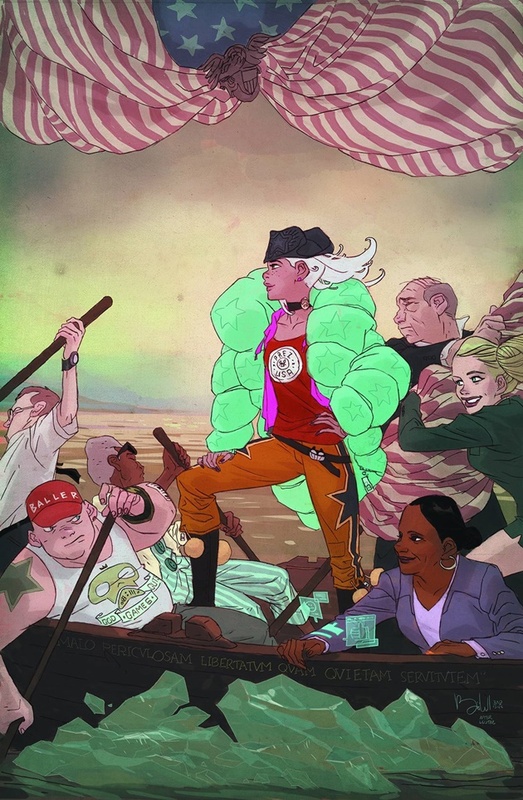 Mark Russell and Ben Caldwell's revival of one of the oddest titles in DC history is an entertaining political satire, that while taking shots at some fairly easy targets (the two party system, trending culture, apathetic voters) does so in a way that had me chuckling and made it feel just a smidge more daring than your typical Big Two comic. This is especially all the more apparent when you compare Prez's approach to real world issues vs. that of the far more milquetoast attempts at social/political relevance that the publisher has instituted in the past. Additionally, Caldwell's panels are packed with little details that shouldn't be glossed over either - anyone familiar with the artist's Wednesday Comics entry should know what to expect. I hate that Prez is a limited series, but at least the set end-point will allow this team to make their mark and hopefully breathe this kind of life into another moribund DC property. Plus, this will probably be among the lower selling relaunch titles from this month, unless word of mouth is particularly strong. Here's hoping! Robin: Son of Batman #1: Patrick Gleason was always the draw of the most recent run of Batman & Robin for me. That he was taking over the adventures of Damian Wayne as writer/artist had me quite curious what his scripting chops would be like. As a fan of cartoonists going it alone, I admire DC continuing to trust in all the tools of their illustrators, even if it's produced only mixed results thus far. 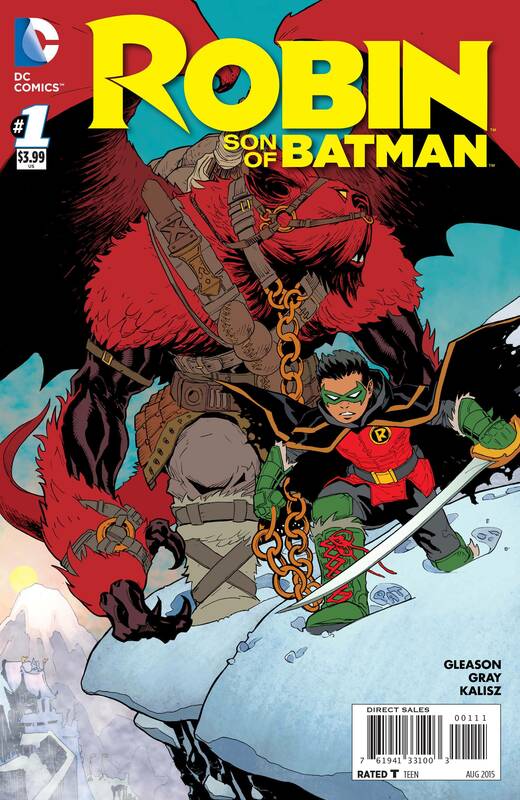 For Gleason's part, I thought this was fun issue that veered into "a boy and his monster" territory between Damian and his pet Man-Bat, Goliath. Gleason picks up right where he and Peter Tomasi left off, and that could be a bit tough for new readers, as references are made to Damian's resurrection, his relationship to the Al Ghul family, and a character that appeared in the first six issues of Batman & Robin. But, if you can hang with slightly heavy backstory, it's an enjoyable read and now that Gleason is basically unfettered here, his layouts are lusher than ever. I liked it enough to come back next month to see where it goes next.